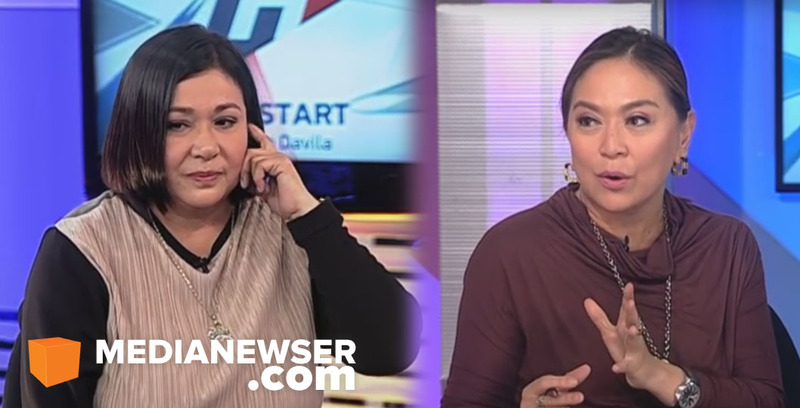 Karen Davila's sit-down interview with senatorial candidate Alma Moreno is drawing some attention on social media. The interview, which aired on ANC's Headstart last week, found Moreno rambling, at times incoherent, when quizzed on her views and stance on many major issues. When asked what would be her advocacy if elected, she said, "Ah, more on sa kababaihan." Davila followed up, "Like what?" to which she responded, "Boses ng kababaihan... like, ah, Magna Carta of Women." From then on, Davila asked her stance on the reproductive health law, to which she gave incoherent answers. She asked Davila, "Kailangan pa ba sagutin?" to which the ANC anchor responded, "Yes, of course, you're running for the Senate." Talking about contraception, Moreno said, "Kasi dapat talaga, lalo na yung mahihirap, dapat talaga magcontrol kasi lalong naghihirap sa dami, kapag marami ang anak." Jumping to the second half of the interview, Davila asked Moreno on her opinion on the anti-dynasty bill. "Sa akin kasi kung ang pamilya mo maganda ang ginagawa sa isang bayan, okay lang eh," Moreno said. "Kasi hindi rin naman sila mananalo kung hindi gusto ng tao eh. Bakit sila binoboto pa rin ng tao diba?" When asked about the Bangsamoro Basic Law, Moreno admitted that she could bone up a bit on the issue. "Palagay ko pag-aralan muna. Sa akin, pag-aralan munang mabuti. Kasi okay yung BBL, anuhin natin. Dapat ang makinabang ay mga Pilipino. Kaya dapat siguraduhin natin yung BBL, kung ano ang meron dun." Many netizens took to Twitter to weigh in on the interview. Irene Mindanaoan of mindanaoan.com wrote: "Alma Moreno said she needed prayers before she filed her candidacy. I also needed prayers to finish that painful interview. @iamkarendavila." @HecklerForever tweeted: "Just saw Karen Davila's interview with Alma Moreno. Excruciating. She can still withdraw her bid for a Senate seat." User @SquidwardKing, meanwhile, commented: "Galing ni Karen Davila! 👏🏻🙌🏻Pakiramdam ko si Karen pa yung tatakbo bilang senador at si Alma ang interviewer eh 😭😂." Only time will tell if this interview does damage to Moreno's candidacy. Certainly, the online community thinks so. Bad news for her, good news for Davila, who has once again proved that she is one of Philippine TV's most consummate interviewers.